2007 GMC Yukon Denali AWD. 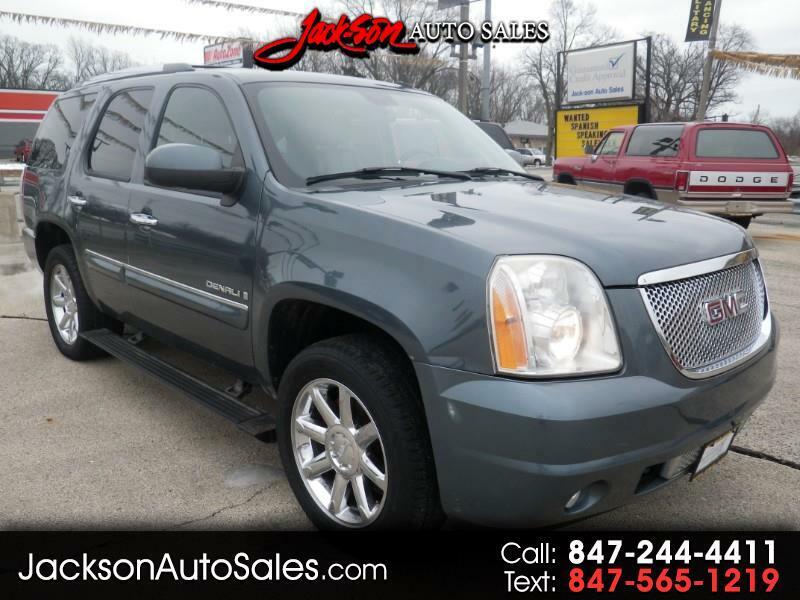 This Yukon Denali is one super clean and well maintained suv. The green/blue exterior is in excellent shape and very nicely complimented by the plush black leather interior. With tons of great features including power windows, mirrors, heated/leather seats, sunroof, navigation, 2nd row heated/captains chairs, rear entertainment system, and more! Do not miss this fully loaded Denali! Come see it today!